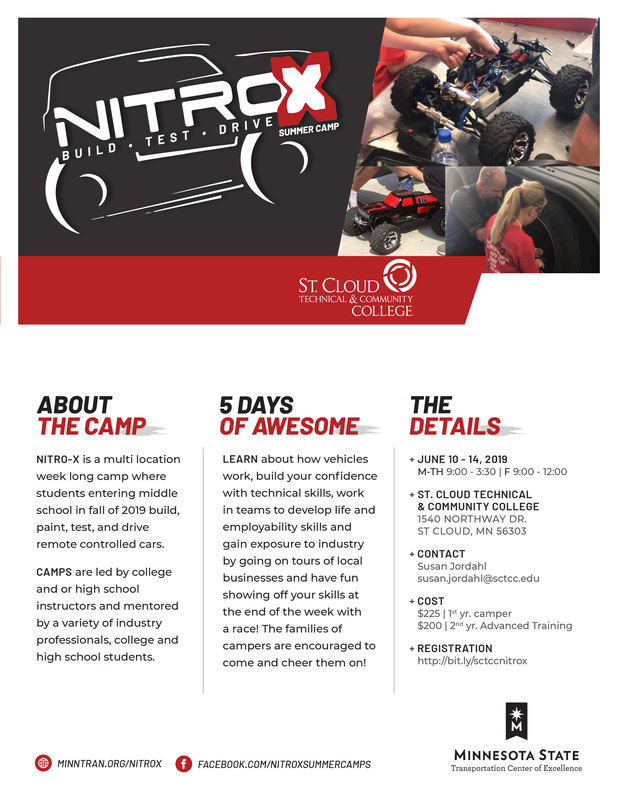 NITRO-X is an annual summer camp hosted by St. 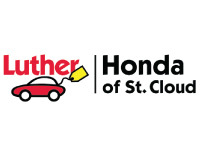 Cloud Technical and Community College (SCTCC) for boys and girls in 6-9th grade who are interested in radio controlled (R/C) cars and trucks. Nitro-X 2019 will be held June 10-14 at SCTCC. Throughout the week-long day camp, students rotate through the transportation technology programs at SCTCC to explore and experience electronics, engines, suspension, paint, team work, and friendly competition. Students learn skills to help build, paint, test, and drive their 4x4 R/C cars. Contact Susan Jordahl at 320-308-5908 or susan.jordahl@sctcc.edu.